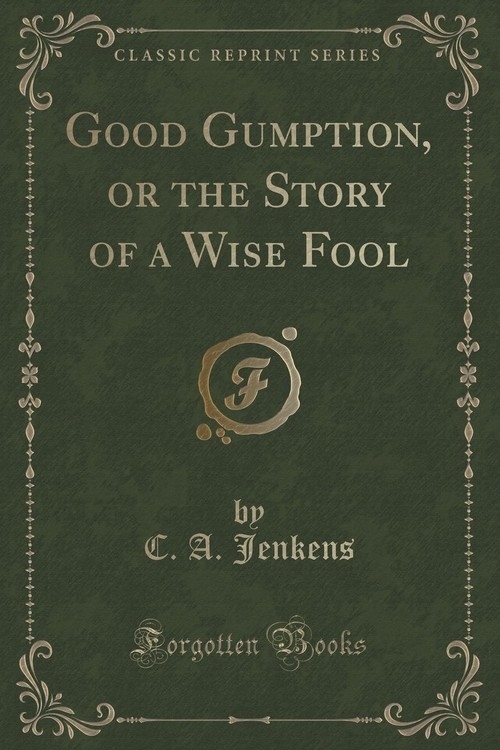 Opis: Good Gumption, or the Story of a Wise Fool (Classic Reprint) - Jenkens C. A. From the crown of his head to the sole of his foot, he is all mirth.... He hath a heart as sound as a bell, and his tongue is the clapper; for what his heart thinks, his tongue speaks. I cannot hope to entertain you with a merely humorous or facetious story. Harlequin without his mask is known to present a very sober countenance, and was himself, the story goes, the melancholy patient whom the doctor advised to go and see Harlequin - a man full of cares and perplexities like the rest of us, whose self must always be serious to him, under whatever mask or disguise or uniform he presents himself to the public.... The humorous writer professes to awaken and direct your love, your pity, your kindness; your scorn for untruth, pretension, imposture; your tenderness for the weak, the poor, the oppressed, the unhappy. To the best of his means and ability he comments on all the ordinary actions and passions of life almost. He takes upon himself to be the week-day preacher; so to speak. Accordingly; as he finds, and speaks, and feels the truth best, we regard him, esteem - sometimes love him. Szczegóły: Good Gumption, or the Story of a Wise Fool (Classic Reprint) - Jenkens C. A.
Recenzje: Good Gumption, or the Story of a Wise Fool (Classic Reprint) - Jenkens C. A.